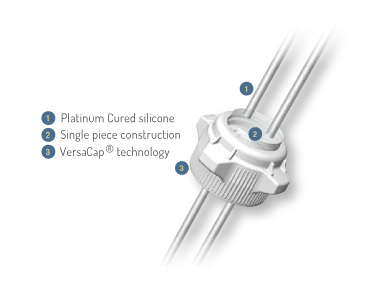 VersaCaps from Foxx Life Sciences are the premier product in top-connection flexibility. Offering a variety of media bottle caps, lab bottle caps, shaker flask caps & bioprocess carboy caps to suit your application needs. 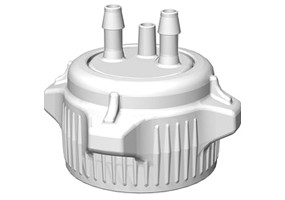 Providing a fully leak-proof connection with replaceable platinum-cured silicone gaskets. 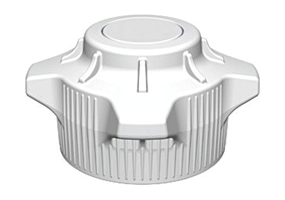 Ergonomically designed, VersaCaps offer large handles with finger grips to allow for easy opening and tightening. 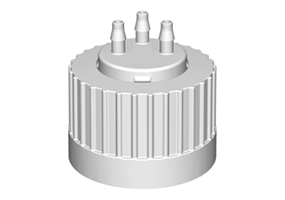 With a large range of connections, the VersaCaps range can be used in many pharma and laboratory applications. 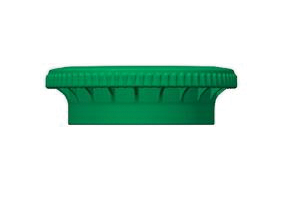 Whether you're looking for a Boston Bottle cap or a Erlenmeyer Flask cap. 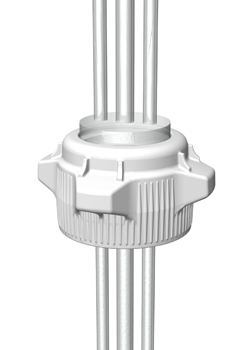 VersaCaps are compatible with a variety of adapter inserts, enabling users to quickly change the top connections of each bioprocess carboy or media bottle to match their application needs. 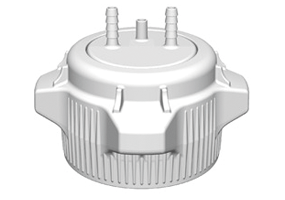 Stepped-flange design that adds rigidity and strength while helping to contain drips.